Audi from Ingolstadt,Germany entered the German car-manufacturing business in 1910. Audi Automotive Group designs, engineers, manufactures and distributes automobiles and motorcycles across 135 countries around the world. Audi's slogan "Vorsprung durch Technik", meaning advancement through technology, reflects upon their high standards and constant innovation in automobile and motorcycle technology. With Audi’s wide range of models that include the popular A4 line, our 27 years of experience of Audi repair has prepared us well to resolve any issue quickly and in a timely fashion, so you can enjoy your beautiful car as soon as possible. 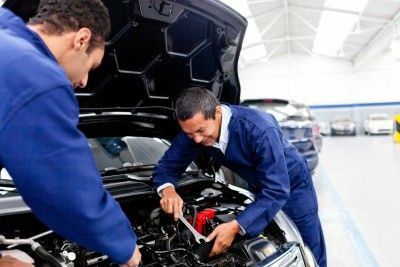 At Ayers Automotive Repair in Santa Barbara, CA, our family of ASE certified mechanics ensures you and your Audi will drive out with no issues and a great customer service experience.